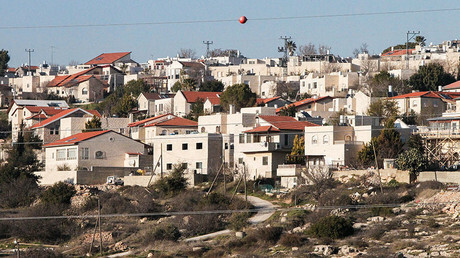 US President Donald Trump has called on Israeli Prime Minister Benjamin Netanyahu to pause settlement expansion in order to reach a peace deal with the Palestinians, but he would not indicate commitment to a two-state solution. 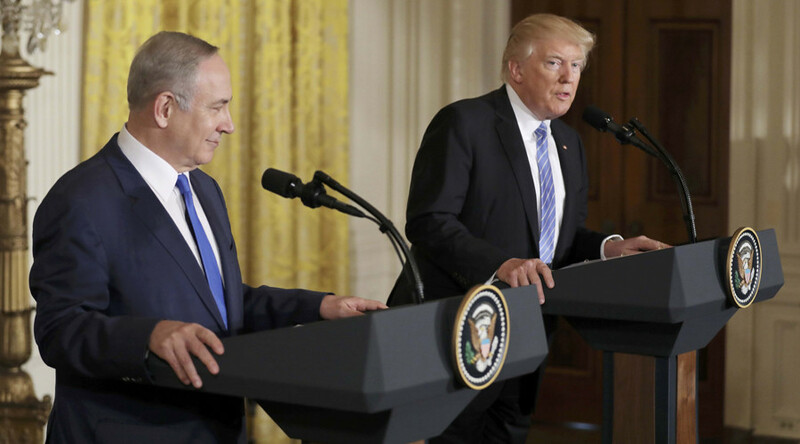 Asked if he preferred a one-state or a two-state solution, Trump said, “I’m happy with the one they like the best,” referring to both Israelis and the Palestinians. “I’d like to see you hold off on settlements for a little bit,” he told Netanyahu, and said the US was “looking with great care” at relocating the embassy to Jerusalem, thus recognizing Israel’s claim to the city as its capital. If those requirements are not met, Palestine would become “another failed state, another Islamist dictatorship that will not work for peace, but work to destroy us,” Netanyahu said. 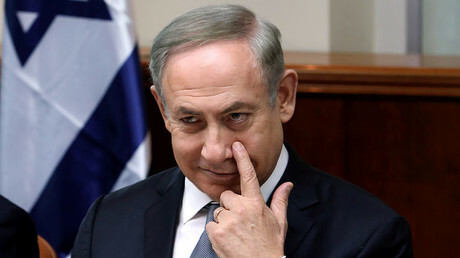 Netanyahu also criticized the nuclear deal the six world powers had reached with Iran in 2015, accusing Tehran of wanting to build a nuclear arsenal – “a hundred bombs” – and intercontinental missiles that could reach the US. Iranian ballistic missiles are inscribed with “Israel must be destroyed” in Hebrew, Netanyahu said, adding that he welcomed the Trump administration’s determination to make Iran pay for “fomenting terrorism” in the Middle East. Efforts by the Trump administration to review the nuclear deal were spearheaded by National Security Advisor Michael Flynn, but he resigned on Monday amid accusations that he’d misled administration officials about his talks with Russian diplomats during the transition. Trump called Flynn a “wonderful man… treated very unfairly by the media,” but did not address the question of how his resignation would affect the administration’s relations with Iran. “There is no greater supporter of the Jewish people and the Jewish state than President Donald Trump,” Netanyahu said, concluding the press conference.